My 6-year old had soccer classes 2 years ago. We stayed in the Philippines last year and he was bugging me for soccer class but I had to commit a white lie saying that it wasn’t available there. Of course, it was. 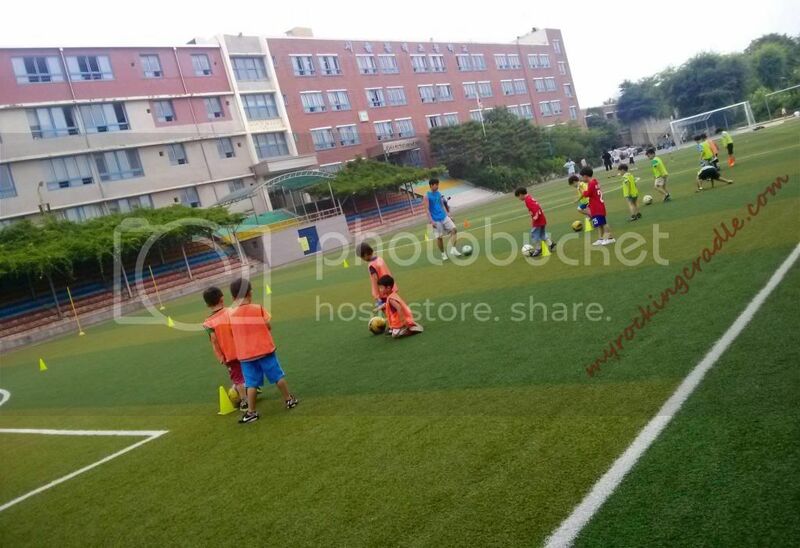 The Westbridge School for Boys in Iloilo had a summer soccer training. One of his Iloilo friends was part of Westbridge’s soccer team. The white lie was to give way to his tennis and swimming lessons. He was back to familiar surroundings. 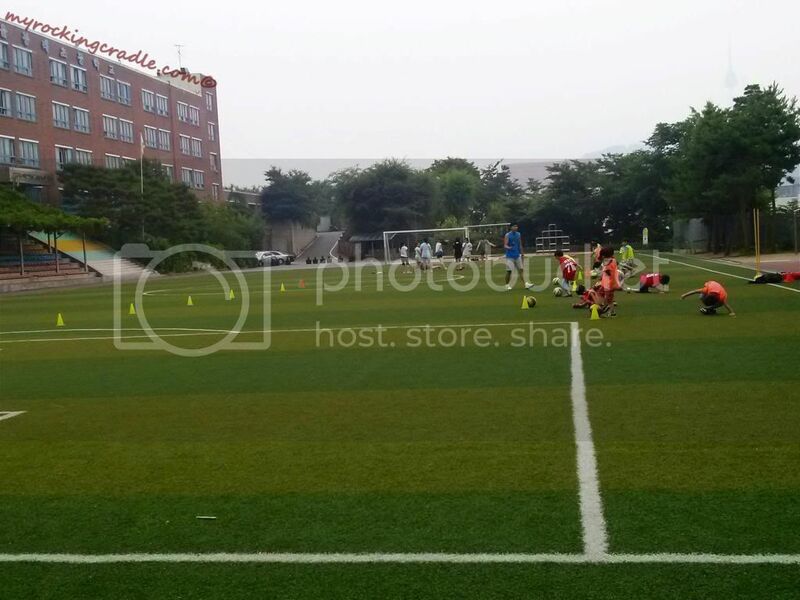 The facility is operated by the Seoul Sports Club and the soccer teachers still remember him. They were friendly and accommodating two years ago but they have become more friendly and accommodating now. Thanks to my Korean mommy friends who do most of the communicating, going back to the sports center was easy for us. My sons’ Korean teachers have been nothing but very welcoming. The teachers from my 3-year old son’s kindergarten sends me regular updates through texts. One teacher sent me a very warm text message about my son. I was surprised when my 6-year old son’s soccer coach called me and sent me a message that he’ll help my son enjoy his soccer class more. Simple gestures like this really fill my heart with so much appreciation. 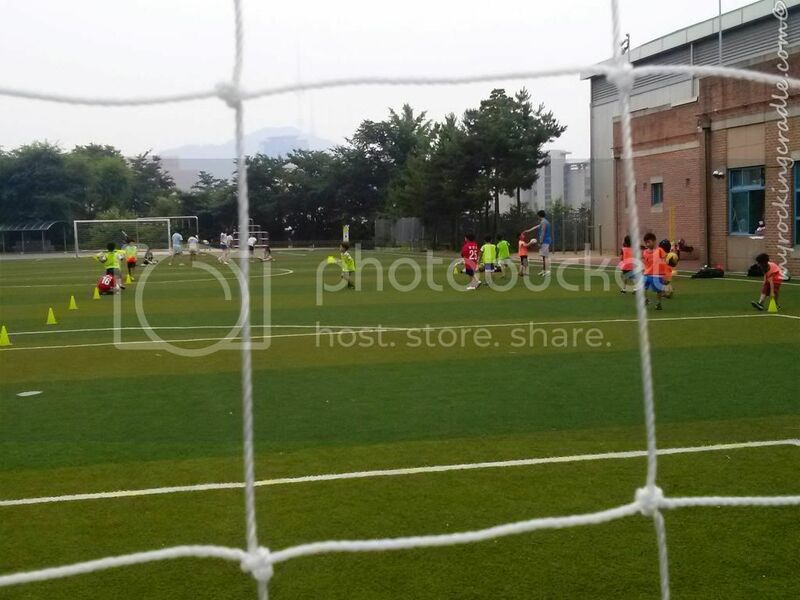 Summer break has not began for the Korean kids yet. The center is expecting more students comes summer break. In the meantime, my son plays with Kindergarten students. This matters because in Korean age, my son is already 8 years old and should have been attending first grade classes already. But since he is waiting for the August opening of the international school, he isn’t attending any academic school for now. So, he is the 형 of the other boys. 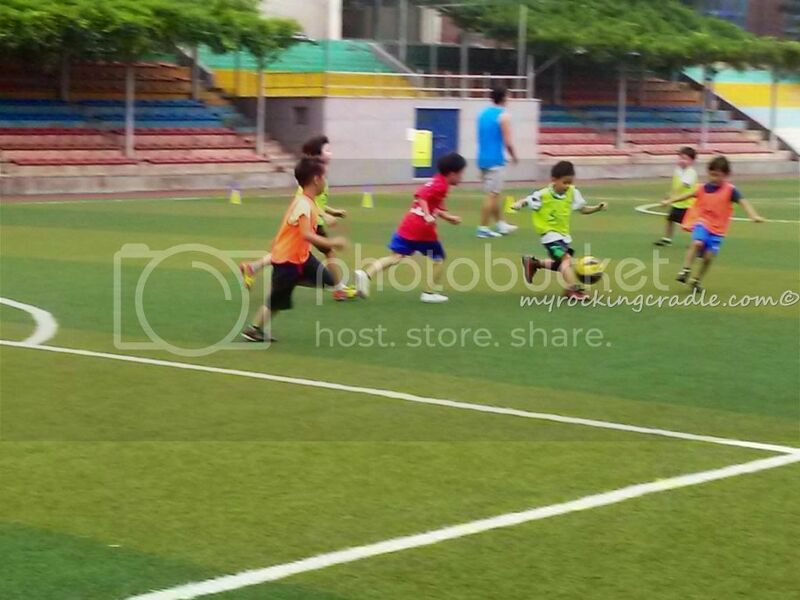 His afternoon schedule these days is full with sports activities but he is stuck with his morning lessons with me. He comes home claiming he isn’t tired at all but once his head touches the pillow, he is off to dreamland.